Adam Auerbach is an assistant professor in the School of International Service, American University. His first book project examines informal community governance and development in India’s urban slums. The project draws on twenty months of ethnographic fieldwork, archival and survey research conducted in Jaipur and Bhopal. His research has been supported by the American Institute of Indian Studies, the Social Science Research Council, Fulbright-Hays, and the National Science Foundation. 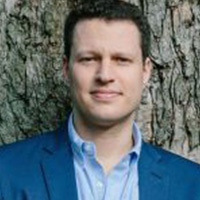 He received the 2013 Best Fieldwork Award from the Comparative Democratization Section of APSA (American Political Science Association), the 2014 Best Dissertation Award from the Urban Politics Section of APSA, and the 2015 Gabriel A. Almond Award for best dissertation in comparative politics. His work appears or is forthcoming in Contemporary South Asia, World Development, and World Politics.